I’m sure I speak for the collective here at Everything Is Noise, when I say that we’re always excited at what post-metal will throw at us next. From the sound of Codeia‘s second single from their upcoming album as he turned back towards the eye of the storm, this is yet another album we’ll be diving headfirst into. We’re proud to present you with this single today, the second track from Codeia‘s record “emerald deception”. 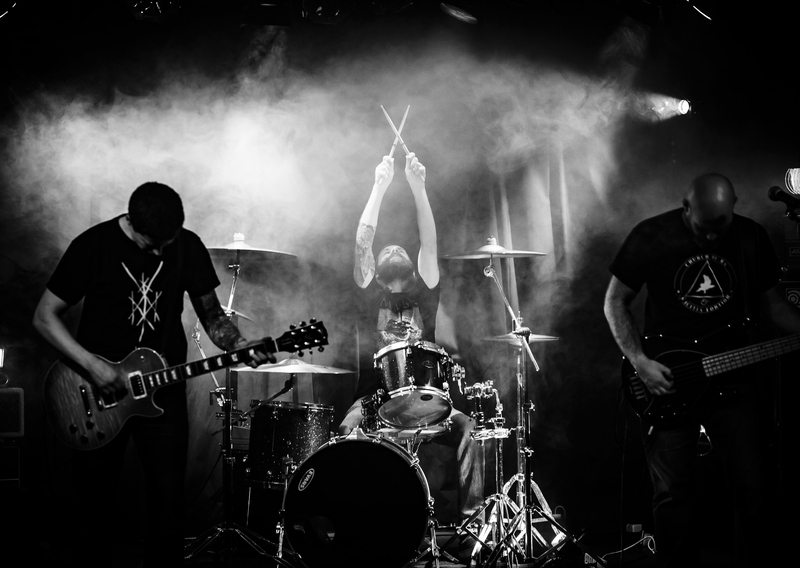 It is a brilliant track, blending post-metal and doom-driven riffs, with a heavy focus on the ambiance and sonic palette presented to the listener. The German trio is releasing as he turned back towards the eye of the storm as the follow up to their 2017 debut, “don’t be afraid”, she whispered and disappeared on April 13, 2019. Codeia focus on long, drawn-out tracks, which allows them to utilise lots of varying influences in their tracks. The contrasting sounds of raw post-metal subside into post-rock riffs, a blend which sounds like Neurosis subsiding into Wang Wen, before launching back into Rosetta riffs for finales. “emerald deception” is a ten-minute beast, comprising of hypnotising doom riffs and hoarse vocals that fit the atmosphere the band create perfectly. Midway through the song, you’re treated to dreamy, feedback-heavy post-rock riffs that give you a lift, before Codeia slam you back down with more pulsing chords. Check out the track below. If you like this track, make sure to head over to their Bandcamp to pre-order as he turned back towards the eye of the storm and to take in their magnificent debut. You can find them on Facebook and Instagram too. Make sure to give them a follow, and wait for our review which will be dropping before the release on April 13. “Talent has always been the sexiest thing to me." Previous PostFoals - "Everything Not Saved Will Be Lost - Part 1"